Meatloaf seems to be one of those foods that people either love it or they hate it. There really isn’t any middle ground, is there? My family enjoys meatloaf – Dare I say, they actually look forward to it? I probably have 10 or 15 different meatloaves that I have made over the years. While the traditional meatloaf with the ketchup topping is nice and comforting, sometimes it’s nice to shake things up a bit. 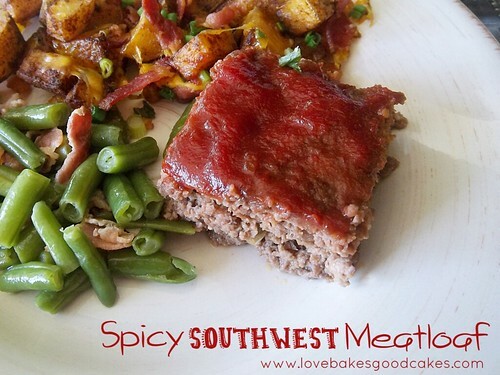 This Spicy Southwest Meatloaf is a hit with my family! It’s not too spicy, but the Ro-Tel tomatoes and chili sauce give it a nice spice without making it too hot. We served this up with some Taco Tatoes and green beans. Cornbread muffins on the side would be a nice accompaniment! If you’re looking to kick your regular ol’ meatloaf up a notch, definitely give this recipe a try – you’ll be glad you did! Preheat oven to 400°F. Combine the beef, bread, onions, green pepper, tomatoes, eggs and chili powder in a medium bowl. Shape the meat mixture into a loaf. Place in an ungreased 8½x4½x2½-in. loaf pan. 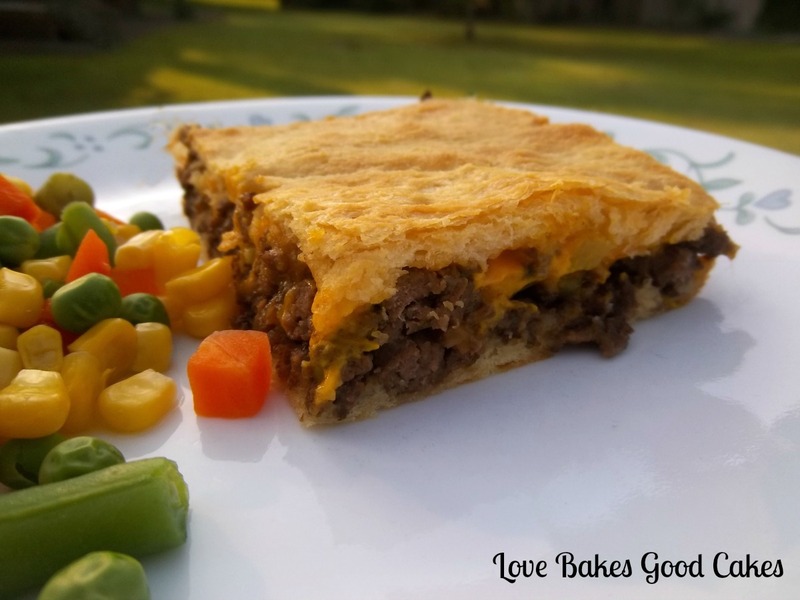 Bake for 45-55 minutes or until the meat is no longer pink in the middle. Carefully drain. Spoon the chili sauce over the top of the meatloaf and bake an additional 10 minutes. Allow to stand 5 minutes before slicing. I think I've made one meatloaf in my life ! Your recipe will have to be tested 😉 The Taco Tatoes looks great too ! 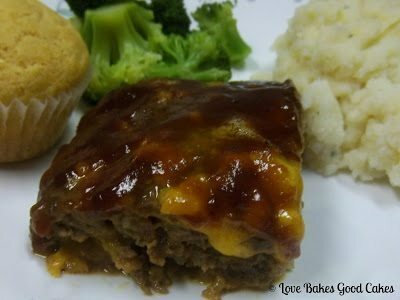 My husband LOVES meatloaf and this looks delicious! 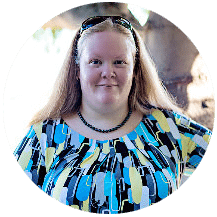 So do so many other recipes you have on your blog 🙂 Thank you for sharing at 'The Project Stash' – where I just found you – now I am following along for more good 'eats'! Oooo, I love the seasonings in this- ro-tel, chili sauce…you just KNOW it's going to be good! 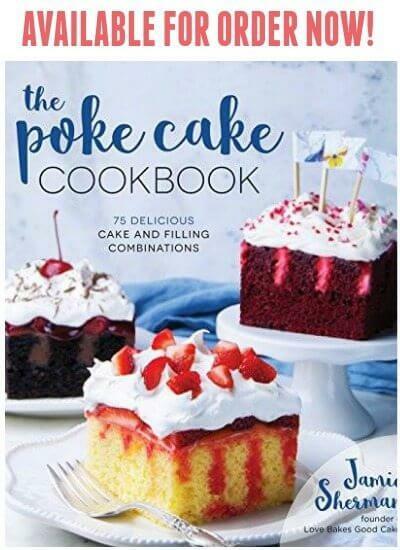 Jamie, this looks so delicious!!! Thank you so much for sharing with us at Best of the Weekend! i love meatloaf. My family loves spicy. Maybe I can sway them over to liking meatloaf too with your take on it. Thanks for sharing at Inspire Us Thursday. Meatloaf is something I didn't like as a child, but I sure do now. Love the ro-tel in this! Thank you for coming by this evening and sharing this spicy meatloaf, Jamie. This sounds so good, Jamie! Pinning! Looks great, Jamie! Pinning and sharing on FB and Twitter. Have a wonderful weekend. Thanks for sharing at Marvleous Mondays!